Artist Neil Elliott and his winning work Bathroom Intruders. IMAGINATIVE artist Neil Elliott recently wowed judges with an artwork created in his distinctively quirky style. 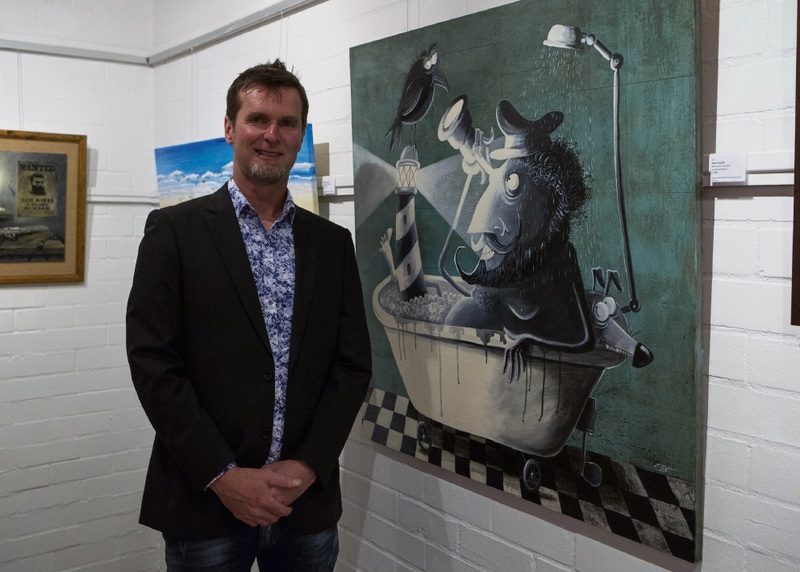 Perth Royal Show judges last month selected Bathroom Intruders as this year’s winner of The Packers prize in the country art awards competition. The Glen Forrest artist developed his drawing and painting prowess while studying at Perth Technical College. He combines his technical drawing skills with visual artistry to create bold and bright pieces on board that feature recycled and disused objects.